The GEMINI 3400 was the predecessor to the GEMINI 105 and the first in the series to have molded transom steps. 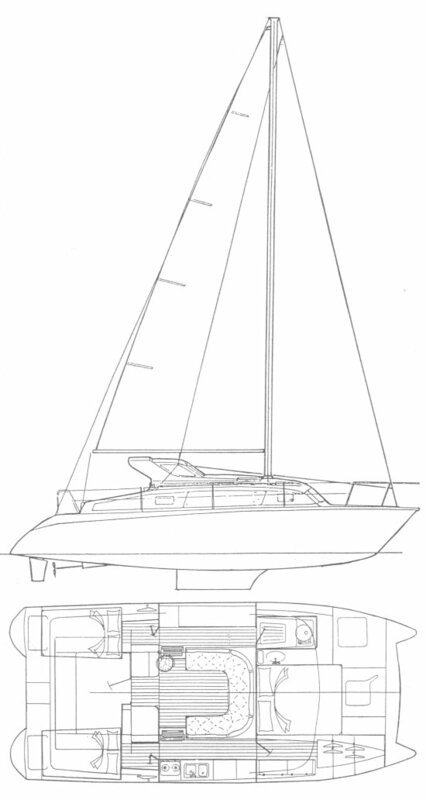 A new kick-up rudder system was developed for the new transom design. Like all Gemini models the 3400 has kick-up centerboards which are housed in low aspect ratio fixed keels which serve as protection for the under-slung rudders from damage when grounding.